The Southern Business Women's Network are proud to offer this FREE event in conjunction with Federation training. Over 321,600 Australians are living with dementia and businesses that deal with the public on a day to day basis are at the front-line when it comes to supporting those experiencing difficulty in their daily lives. The workshops are not just for businesses that deal with the public every day either! You may have encountered the signs of dementia in family, friends, neighbours, work associates and acquaintances and had no idea how to communicate with them or even what is actually happening when trying to interact with each other. Well, help is at hand and as part of a Commonwealth Government funded project, Federation Training are offering FREE Dementia training to key industry groups with the aim of creating a “dementia friendly community”. By demystifying the condition through increased awareness and understanding, the whole community stands to benefit. The effect will be a decrease in stress levels that are directly related to confusion on both sides of our interactions. The training provides practical tips and advice and is complimented by professionally produced videos developed by an organisation called “Is it Dementia?”. Federation Training have recently delivered this program to the Baw Baw Women in Business Group and other local organisations with great results. The workshop runs for up to 2 hours. Federation Training will provide full catering for all attendees as well as take home resources for the everyone to refer to following the session. The trainer has many years of experience in the aged care and more specifically the dementia field. Her expertise in this area will give the participants access to a depth and currency of knowledge that they can utilise in their workplace now. 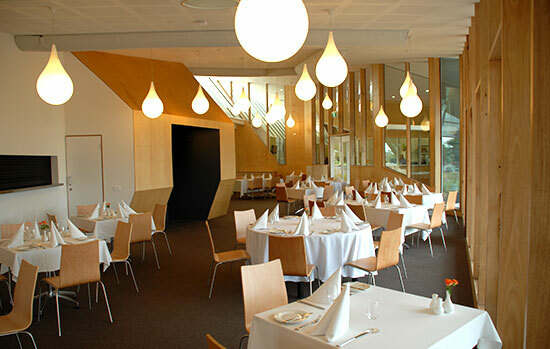 The Wildflower Training Cafe is located within Federation Training’s Leongatha Campus.